← blog 39: In which I take you on a photo tour of my recent trip to Adelaide. blog 40: In which I reveal further shocking secrets from the Ishmael Trilogy! In blog 37 I revealed some shocking behind the scenes secrets from Don’t Call Me Ishmael. 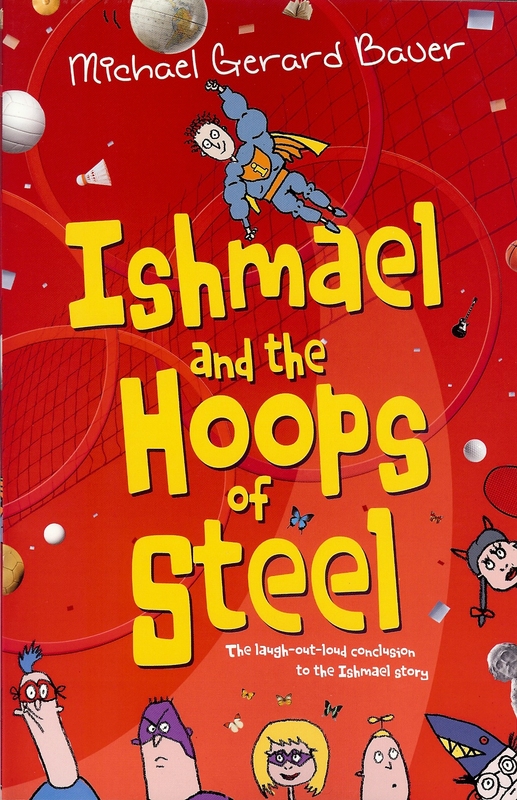 In this blog I conclude my startling exposé with Ishmael and the Return of the Dugongs and Ishmael and the Hoops of Steel! So, only if you happen to have read one or both of those books, READ ON! 1. 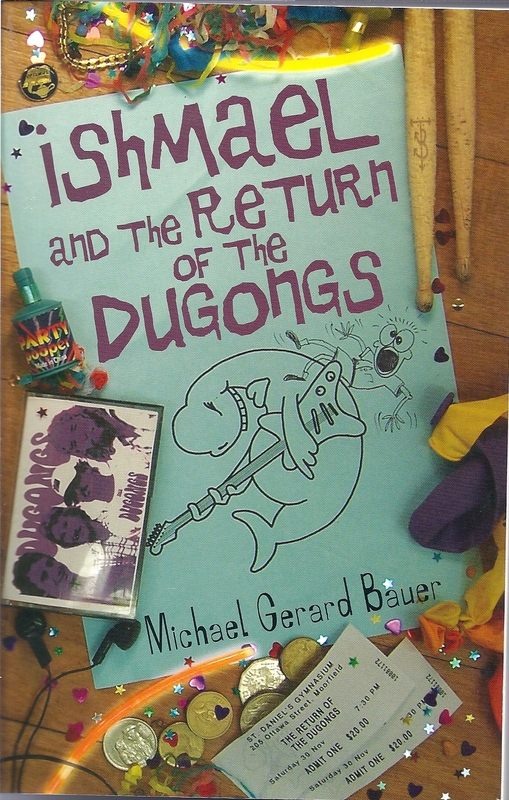 Here are some hidden Da Vinci-like codes and secrets in the original Australian cover of Ishmael and the Return of the Dugongs created and designed by my son Joe. On the Dugong’s cassette from the 1980s that features on the front cover, I’m the second Dugong from the left – at least it’s a younger, more purple and digitally enhanced version of me. The little badge on the floor above the ‘I’ in Ishmael on the front cover, is actually Joe’s ‘Optimus Badge’ from school. It was awarded for Academic Achievement. That’s my boy! The Party Popper on the front cover has been edited by Joe to say ‘Party Pooper’. Joe’s stylised initials – JTB – appear on one of the drumsticks. St Daniel’s address on the Dugong’s concert tickets is ‘Ottawa Street’. That was the street address of our first house. We still have Ignatius Prindabel’s Pi t-shirt that can be seen on the back cover. My wife wore it a couple of times when she was a Maths teacher. All the items on the cover are supposed to be on the floor of the St Daniel’s school gymnasium where the band The Dugongs have just performed a reunion concert. We did try to take the pictures at a local girls school gymnasium but they didn’t work out. So the floor featured on the cover is actually a local squash court. Joe’s original design for the cover of Dugongs. 2. One of the Dugong’s songs is “Dead Toad Society Blues”. When we were at University my cousin (and best friend at the time) and I formed a fictional organisation called the Dapto Dead Toad Society. I think at its peak it had six members and no real purpose. But this is where the song originated. 3. The character of Razz mistakenly thinks when his teacher says his poem is ‘rigid with rigor mortis’ that it is a compliment and starts using the word ‘rigid’ as a synonym for ‘good’ or ‘awesome’. This was my attempt to create a new slang word and get it into popular usage. Limited success so far, but I’m still hopeful. 4. Ishmael writes a little poem for Kelly called The Weatherman’s Daughter. I wrote the same poem for a real girl when I was at Uni. I liked her a lot. Her father was a Weatherman. I never showed her the poem. 5. In Hoops Ishmael and the boys form a volleyball team. I was a volleyball coach at Marist and used to motivate my team with chocolate bars just like Mr Guthrie does. 6. It will sound pathetic but when I tried to read the Hoops chapter to my wife where Razz gets his Hamlet lines and words confused (Ch 28 Windy Perspiration of Horse Breath) I couldn’t do it because I was laughing so much. 7. The disturbing and stomach churning ‘kiss scene’ from Hoops is based almost slurp for slurp and cringe for cringe on one of my school boy experiences. 8. 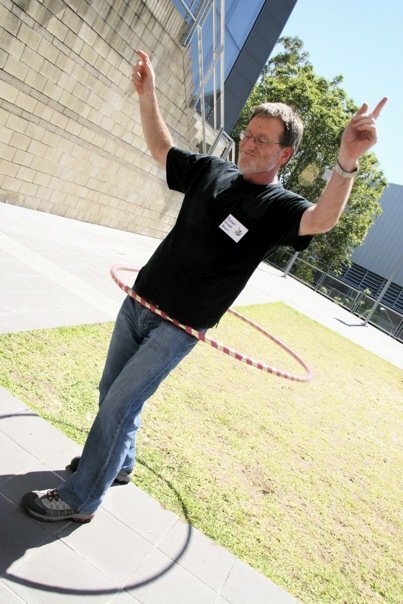 Bill Kingsley gets into hula-hooping because at the time of writing I was trying (spectacularly unsuccessfully) to learn how to hoop. 9. 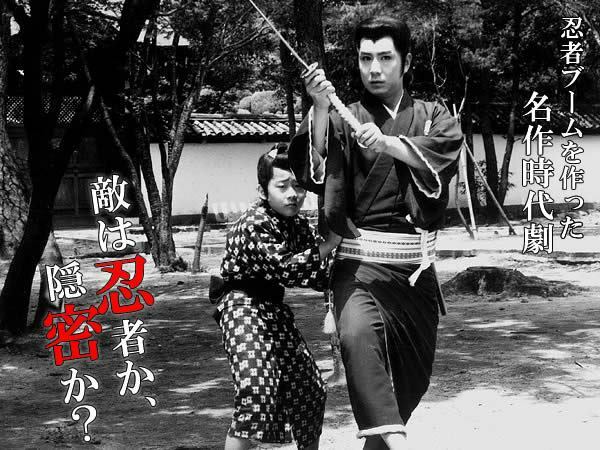 Because my childhood hero was Shintaro from the TV series The Samurai there are a few Samurai and Ninja references sprinkled throughout the Ishmael Trilogy. In Hoops it comes in the form of the character Melvin Yip – aka The Psycho Samurai or the Nutcase Ninja – and his unusual volleyball style. 10. The character of Theodore Bungalari, (the ‘Smokin’ Gorokan’ as Razz calls him) from Papua New Guinea is in book three as recognition of all the great PNG boys I taught at Marist. This entry was posted in Uncategorized and tagged Don't Call Me Ishmael, Ishmael and the Hoops of Steel, Ishmael and the Return of the Dugongs, Ninjas, Shintaro, The Samurai. Bookmark the permalink. 4 Responses to blog 40: In which I reveal further shocking secrets from the Ishmael Trilogy! I realise this blog post was from a long time ago, but I’ve only just come across it. It’s pretty cool how all the little props and details on the front cover I hadn’t though too much about each have an explanation behind them :). This has always been one of my favourite books, along with “The Running Man” (my all-time favourite). I really enjoy your writing style and I find your characters so relatable, especially Ishmael, and Razz’s misinterpretations are pretty funny. Even though its been a while since I first read this book, I still love it every time I read it. I recently finished ‘Don’t Call Me Ishmael’. I have long wanted to read it, thinking that I would enjoy it, and I loved it. The characterisation is so strong. And the mix of characters in that core group. The Ringo peg disaster made me laugh out loud. You captured all the uncertainties and not-knowing-ness of teenhood in a subtle and consistently funny way. And I love the care you took to wrap up the various threads and relationships. I’m so glad Ish has a chance with the girl. I learnt a lot, as a writer, by reading the book. Looking forward to ‘Hoops’ and ‘Dugongs’. In the meantime I’m on to Jack Gantos’s ‘Joey Pigza Loses Control’. Have you read any Gantos? He’s good.